You may have a big family. You may have a REALLY big family. Your family may be so big that people notice you everywhere you go. Whether you’re homeschooling two kids or ten kids, homeschooling multiples can be challenging. How do you make sure that everyone is getting the attention they need, the care they need, and the academic success they need? If you’re homeschooling more than one kid, here are some tips to help you manage your year. One tip that will save you money, time, and brain energy, is to use the same curriculum for multiple kids. This can be done in a number of ways. One is using the same curriculum program and passing it down from one kid to the next. This will save you money, and you won’t have to learn a new program for each kid. Another way to use the same curriculum programs is to buy ones that incorporate multiple grades. Each grade level will be more challenging, but kids in grades close to each other can learn the same themes and concepts. You can also choose to assign similar assignments each week. For example, you may choose to do math tests the same day, or you may assign similar writing assignments for the same week. Reviewing the same type of activities is much easier than trying to keep up with varying assignments. Another good idea is to do group activities with your kids. If you’re working on a craft with one kid, it’s beneficial to get as many kids involved as possible. Individualized activities are important, but there are a lot of times when all the kids can get involved in a project. This can also work for science experiments and observations. Another great way to get everyone involved is to plan a family trip or field trip. Older kids might have a deeper understanding of a field trip, but even the little ones will benefit. If you have babies and toddlers, naptime can be a vital part of the day. Try to have a scheduled naptime for the younger ones and use this time to connect and check in with older kids who need your attention. If you have busy toddlers who are disrupting learning time, include them by giving them something called a toddler box. Toddler boxes are filled with items that are safe and inviting to little hands. These boxes can be filled with play-doh, duplos, crayons and coloring books, sorting items, craft activities, etc. This box is intended for school time only to give your little one something to look forward to when your attention is diverted. You can also make them a sensory bin. It may get a little messy, but it will give them something beneficial to do while you’re actively teaching your older kids. Plus sensory bins are great for imagination, fine motor skills, and critical thinking skills. Independence is a very important element to homeschooling. All kids need help with their education to some extent, but fostering independence will benefit your kids and you. Teach them to try to work through problems themselves before immediately asking for help. Check in to make sure they’re understanding concepts correctly, but teaching them to teach themselves is a valuable life skill. Plus, it will make it much easier to teach multiple kids. Kids generally respond well to routines. They like knowing what to expect from day to day. When they understand the expectations, it’s easier for them to repeat the schedule without complaining or arguing. It also allows them to see exactly what needs to be accomplished in order to finish their work for the day. If they know what they need to accomplish for the day, it’s easier for them to work hard and finish so they can move on to other activities that they want to do. Some days things are not going to go as planned, and that’s okay. Kids get sick, parents get sick. There are extracurricular activities, family engagements, and about a thousand other things that can disrupt the day. You may not accomplish everything on your to-do list every day, and that’s okay too. You may also find that your schedule or curriculum programs need tweaking in order to benefit your kids. Being willing to be flexible and change is an important part of working with multiple kids. Homeschooling families still have to prepare meals, clean the house, pay the bills, get groceries, etc. The good news is with a big family, you can ask the kids to help. Teaching them responsibility and teamwork in the home is a fundamental part of their education. It may not seem academic, but it is another life skill that will benefit them tremendously in any aspect of their life. It’s absolutely okay to ask kids to help with the chores and maintain order in the home. It may also be helpful to have older kids take turns entertaining younger siblings. This could either mean having an older kid play with a toddler, or having an older sibling teach a younger sibling an academic concept that they understand well. Older siblings can read to younger ones and help them practice letters, numbers, and colors. When you have a big family it’s a good idea to try to keep homeschooling as simple as possible. This might mean choosing one curriculum program and sticking with it, or it might mean not taking on extra subjects that aren’t necessary for your child’s education. It may also mean saying “no” to too many extracurricular activities. Homeschooling can be a big undertaking and it is important to focus on the things that are most needed. Finding a local homeschool co-op can be a game changer. Not only does it give your kids the chance to spend time with other homeschooled kids, but it also means that some subjects or skills can be picked up outside the home. Depending on what your co-op offers, your kids might learn vital subjects like math, science, English, or social studies. They may also get a chance to spend time with other kids doing physical activities, music, or art. Many co-ops also plan group field trips that the whole family can attend. Many kids look forward to the times when they meet with friends and may enjoy learning from other adults. 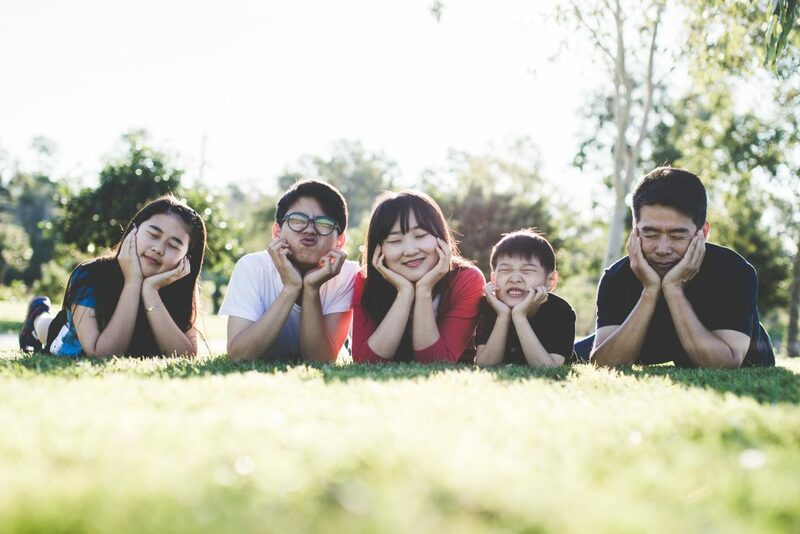 Another bonus is co-ops sometimes offer services like standardized testing and they will likely have information on the homeschooling requirements in your area. Probably one of the best ways to learn how to homeschool a large family is by talking to other families who have done it. Take the time to meet with other parents and ask them how they managed home educating a large family. Chances are, they will be able to share with you the do’s and don’ts of teaching many kids at home. 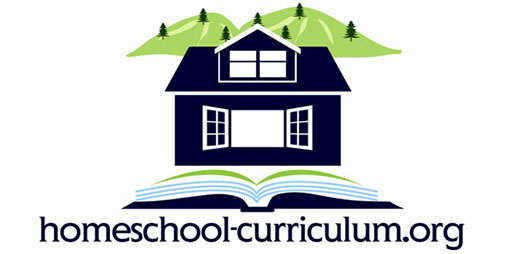 They will likely love to pass on their hard-earned knowledge to a new family entering the homeschooling world. Talking to other families also lets you know that you’re not alone. If you’re struggling with something, chances are someone else has struggled with it too. Sometimes just laughing about a rough day with someone else is enough to prepare you for the next day. Homeschooling a large family can be difficult, but it’s certainly not an impossible task. Plus the benefits are huge. Successfully teaching your children is a huge accomplishment. 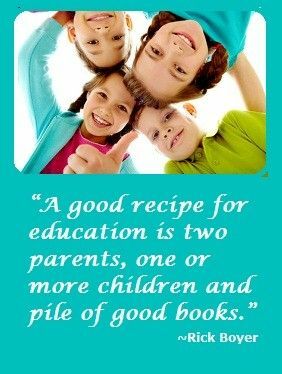 Your kids will have the opportunity to learn together which is something not all siblings get to enjoy. The family time and shared accomplishments are something you will all treasure.